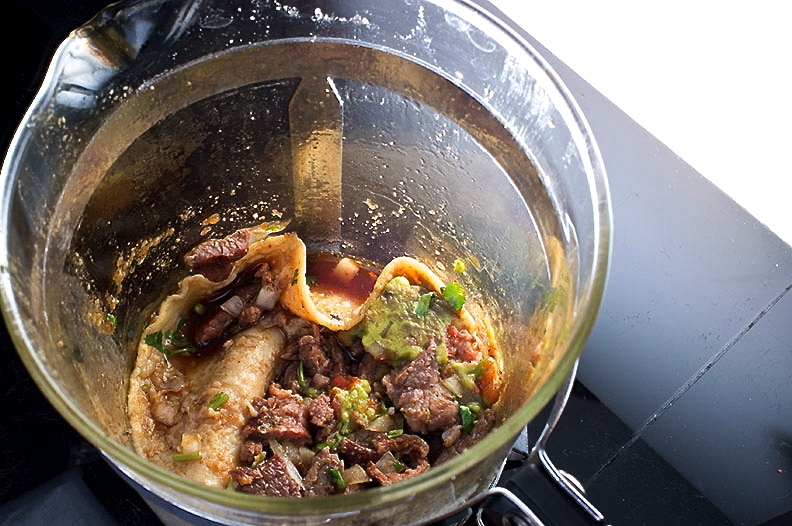 The Taco Tuesday has a very meaty flavor, thanks to the carnitas that was used in the taco. The loads of cilantro in the taco really stand out in both the aroma, and the flavor of this drink. The corn tortilla adds another layer of sweetness in the aroma, and provides a delicate maize like finish. 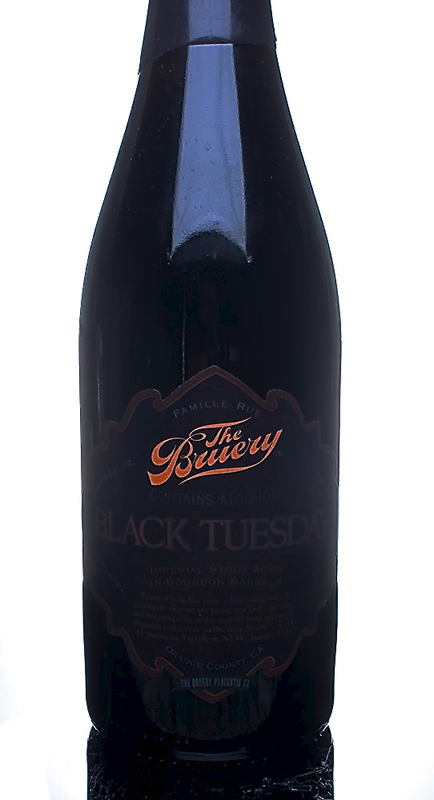 If you’ve never had Black Tuesday before, it is immensely decadent. A lot of alcohol heat, a lot sweetness in the aroma, and a heavy body. 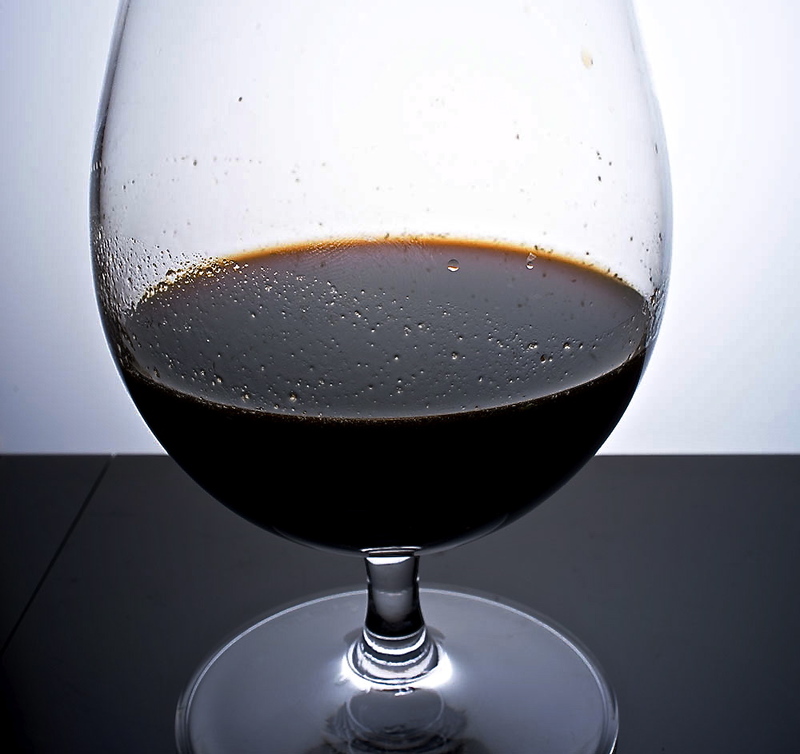 Between the residual sugars from the dark malts and the flavors from the bourbon barrels, this beer is filled with raisins, molasses, brown sugar, coconut, and dark chocolatey flavors and aromas. As the beer warms, and with each sip, new flavors are presented. Now, as delicious as Black Tuesday is, there is a way to make it better that doesn’t involve tacos. We diced up a habanero pepper, broke up a cinnamon stick, and added these along with some cacao nibs to the remaining portion of our bottle to create something magical (for the record, I don’t use the word “magical” lightly. I reserve it for only the most wondrous of occasions. This, of course, being one of them). Using a whole habanero was probably a bit too much for how little of the beer we had left, but the spiciness was still a perfect match for this beer. It reduced the heat from the alcohol, and replaced it with actual fire. The cinnamon was subtle, but it gave the spiciness a complimentary flavor. 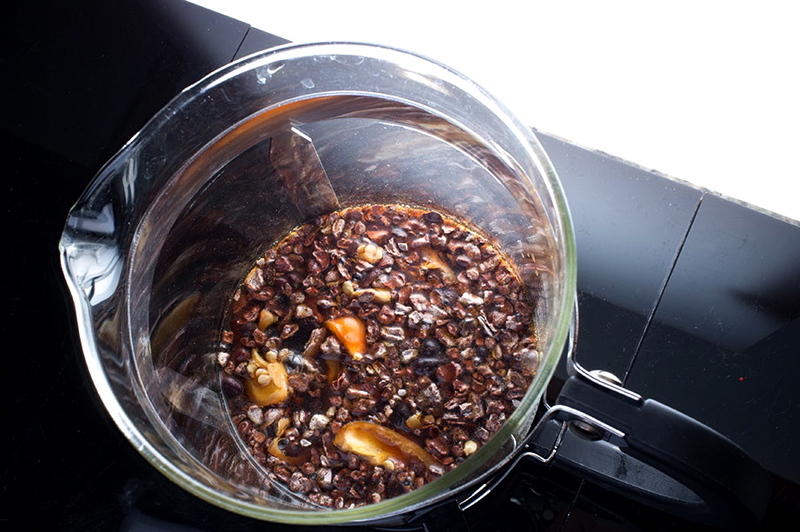 The cacao nibs helped to smooth out the burning by adding in a little chocolatey bitterness to the mix. I wish I had a whole bottle of this. It is remarkably smooth and flavorful, and we would all absolutely do this again. So, when Fall rolls along this year, and you refresh your browser 100 times trying to reserve your bottle of Black Tuesday, and after you drive to California to pick it up, be sure to have a little fun and try out one of our recommendations for how you should drink it!